Set on an island in New England near Massachusetts and Rhode Island, The Storied Life of A.J. Fikry is summer reading. First, it is set in a summer place, an island in New England. 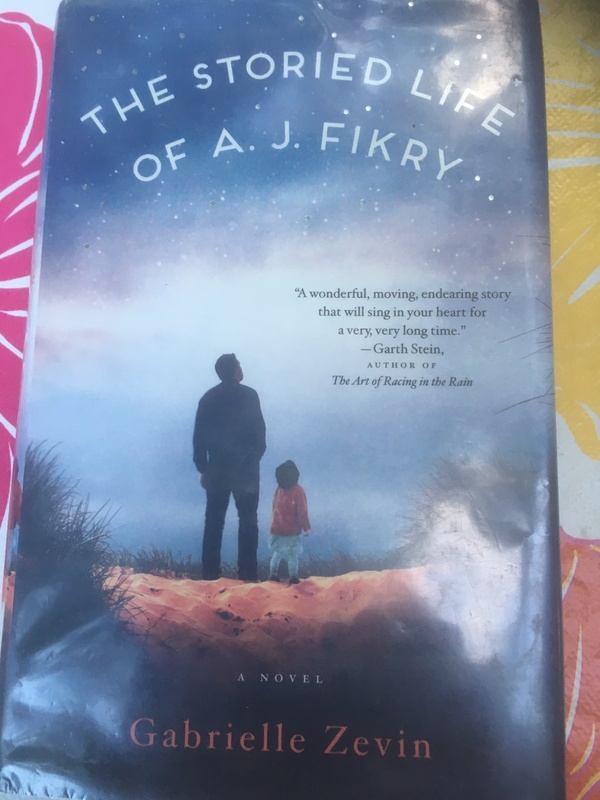 Also, the main character, A. J. Fikry, owns a bookstore – isn’t a bookstore in a New England Island town a setting that reminds you of your summer vacation? There were so many ways that this book kept my head on a summer holiday in a classic seaside location. Gabrielle Zevin’s writing is funny and literate, each chapter set off with a book that relates to the content of that chapter. While some parts of the romances in the story are predictable, the plot is intricate enough to engage any reader. If there is a theme in this book, it is communities. An island is a very particular community on its own, but so are the communities that can build around a bookstore. How we build our family out of the disparate people who become closest to us in our lives is examined in insightful detail by Zevin in this book. Imagine a recent widower, A. J. Fikry, who never contemplated having children, deciding to foster, then adopt, a toddler abandoned on the doorstep of his bookstore. Imagine that his closest advisors in this adventure are Fikry’s dead wife’s sister and the Island Police Chief. It’s impossible to mention more than this about this novel without spoiling much of it for the reader.